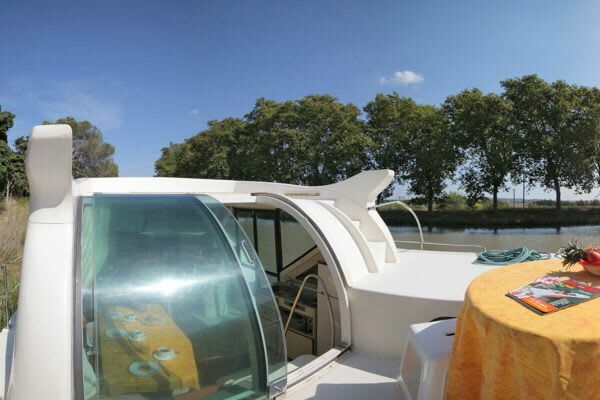 'Confort 900', Custom Built River Cruiser. Available for skippered charter. 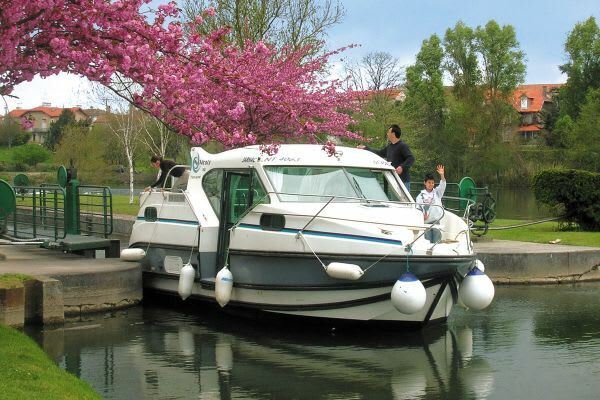 Based in various locations across France, including Aquitaine, the Camargue, and the rivers Charente, Loire and Lot. Capacity for 7 guests/crew. Prices start at €610. The 'Confort 900' is an ideal choice for two couples, a couple with children, or a small group who want to explore the waterways of France on their own terms. 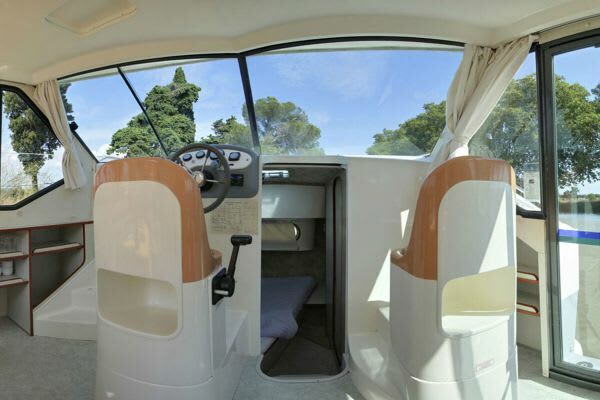 The two cabins at each end of the boat are separated by a central living area ensuring privacy, if it is required. There is also a single bed, and if necessary the saloon can be converted to a double booth. 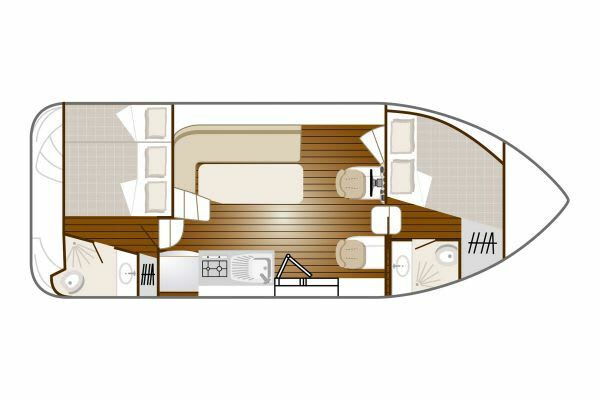 Each double cabin is spacious and has its own en suite bathroom. The central living area has a fully equipped kitchen with a wide variety of storage units, a fridge-freezer and an oven with two ring-hobs. 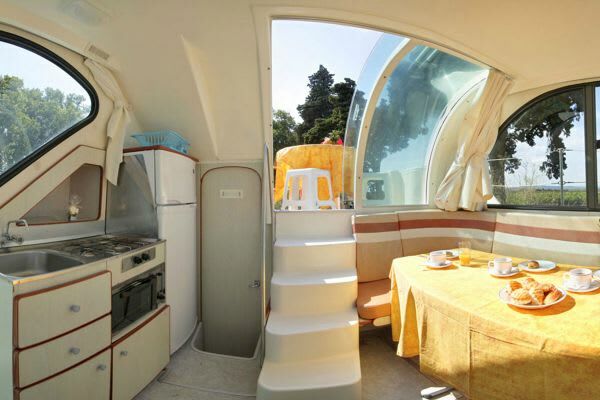 The boat comes with a sunroof, and with garden furniture on the back terrace. 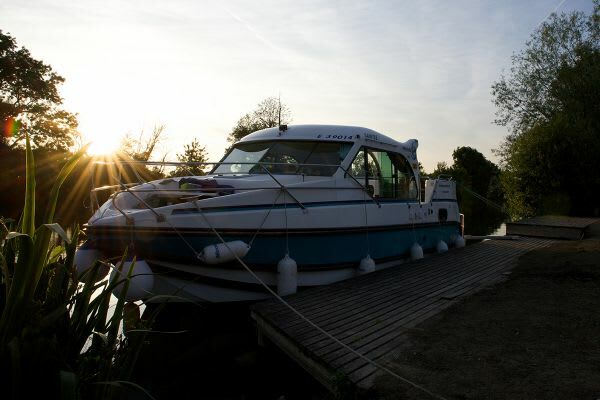 For an additional fee (starting at €87), discover the pleasures of on-board bathing by adding a heated splash pool – simply tow it along with your boat (pool available from selected locations: please enquire).